In the act of creation, means and ends are intermingled in a very pragmatic way. It is by handling the material that an idea emerges. The idea materializes through and in the, well… material. What I shape, shapes me. But is what we create more creative, the more ideas it holds? Creativity is about exploring new horizons and using imagination, about breaching boundaries and connecting things that do not seem to belong together. But how effective can an idea turn out to be in the light of the material concreteness? Does an artefact need to be rich in ideas in order to excite us? The short answer is: no. The Gemeentemuseum in The Hague houses the biggest Mondriaan-collection in the world. The work of Piet Mondriaan, to my mind, is a brilliant testimony of two essential aspects of creativity: the dialogue with the material and the focus on one particular idea – taking that idea as far as possible. While De rode boom ‘The red tree’ (1908) is still very recognizable as a tree, a series of successive approximations shows Mondriaan’s evolution towards a radical cubism. 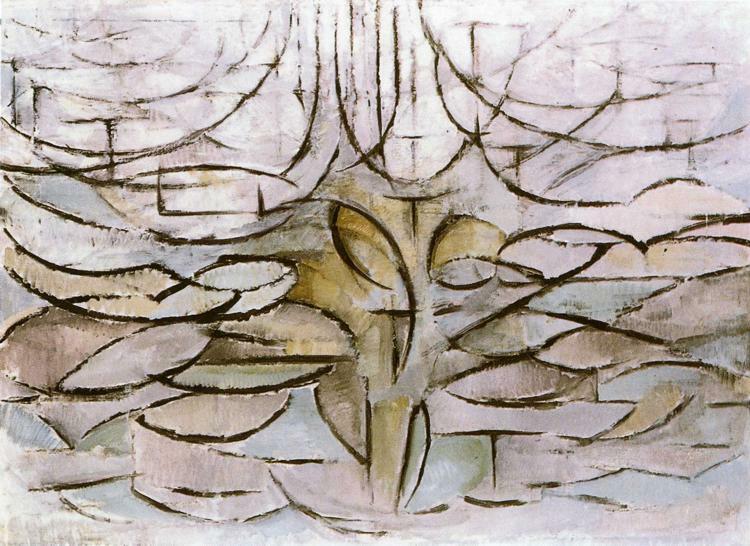 While in his De bloeiende appelboom ‘The blossoming apple tree’ (1912) Mondriaan had reached a typical cubist’s abstraction, with figurative elements still present, he was not satisfied with this, and went on to take the abstraction into the extreme – resulting in what he is now most famous for: compositions with rectangles in red, yellow and blue (Warncke 1990). Contrasting with this concept of creativity as a process in which one particular idea is worked out into its extreme consequence, the work of another Dutch artist, jazz pianist Michiel Borstlap, is a good example of the opposite. His (2008) album Eldorado is swarming with ideas on all levels, from the overall concept (fusion of jazz, rock, electronics in a lounge-jacket, with a touch of classical music) down to the tiniest details (sophisticated producing by Reinder van Zalk). However, listening to this album – very enjoyable I must say – strengthens my belief that creativity has nothing to do with how many ideas you have. On the contrary: I think it’s about constantly reconsidering as few ideas as possible.